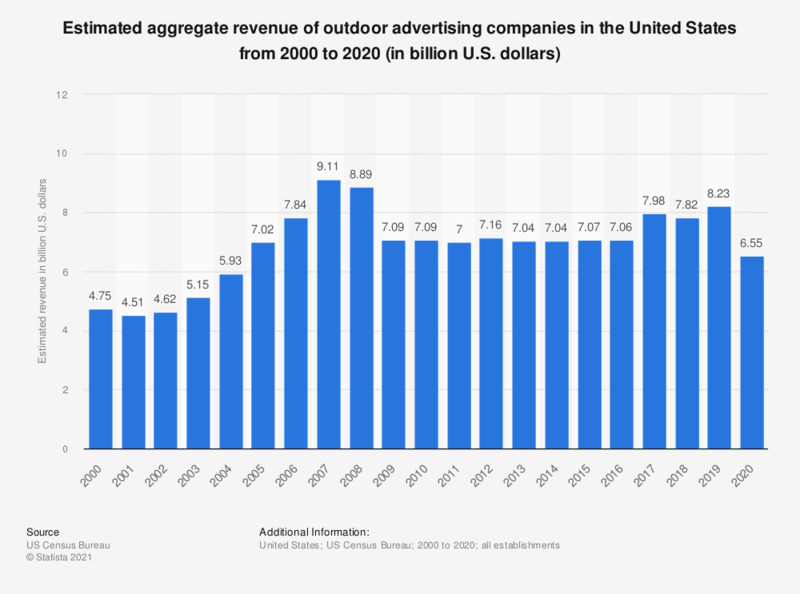 The statistic presents estimates of the annual aggregate revenue of U.S. outdoor advertising companies from 2000 to 2017. In 2017, U.S. outdoor advertising providers generated a total revenue of 7.49 billion U.S. dollars. Up until the 2015 Annual Services Survey the description for NAICS 54185 was 'display advertising'.